Here we are! The first Project 12 post of 2015. For anyone who's new around here, Project 12 is something I started in 2014. 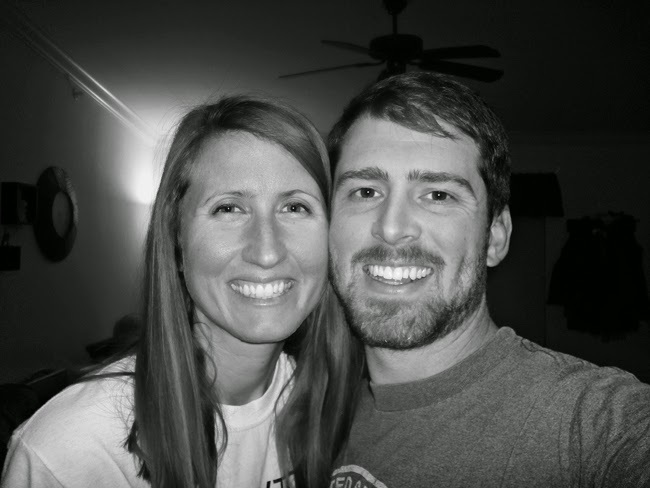 Jordan and I take a picture together on the first day of every month, and at the end of the month I share the picture and recap that month with what we read, where we traveled, dates we went on, and any notable events. ^^^As you can see, I went on a serious reading kick and read five books in January! For anyone interested, Spook is by the same author who wrote Stiff (that book about cadavers I read last year). After being such a fan of Stiff, I found Spook lackluster. The Old Man and the Sea is a Hemingway classic that I hadn't read before. It was a very quick read, and I really enjoyed it. Worth a try if you haven't read it before! The Likeness is a murder/mystery novel. This is the second Tana French book I've read, and I liked it for the most part. Her stories are very interesting. This was one of those "stay up way past your bedtime because you can't stop reading" kinds of books. Check out my review on Goodreads if you're interested in a more detailed review. 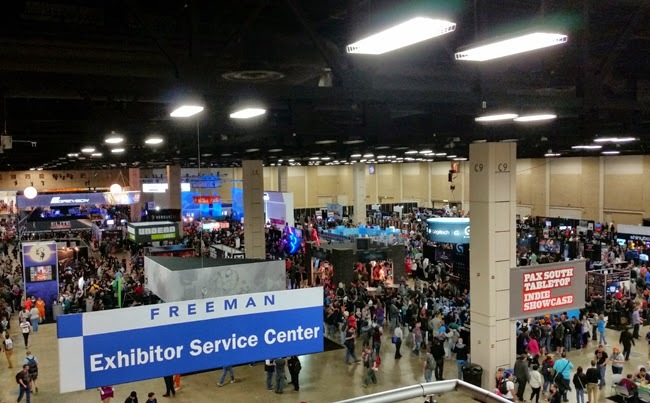 Jordan and two friends drove to San Antonio to attend Pax South. Pax is a huge gaming convention, and if any of you ladies who have significant others who are gamers, they will probably have heard of Pax. It was the first time in our marriage that Jordan has gone off on a trip by himself without me! He's growing up so fast. 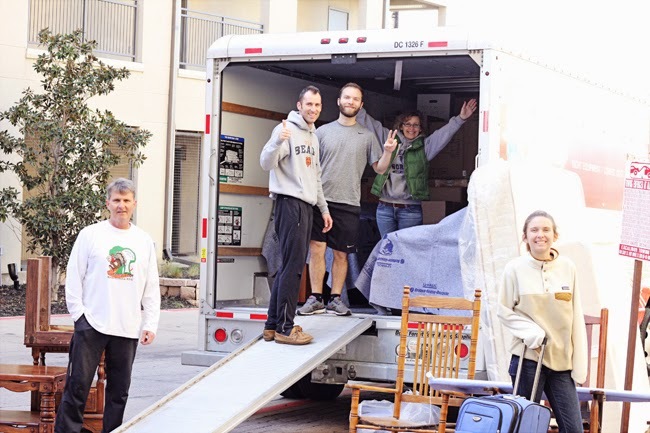 While Jordan was off doing nerdy manly things, I was in Dallas with my family helping my brother and his wife move apartments. Afterward, we went out to dinner to celebrate his birthday. 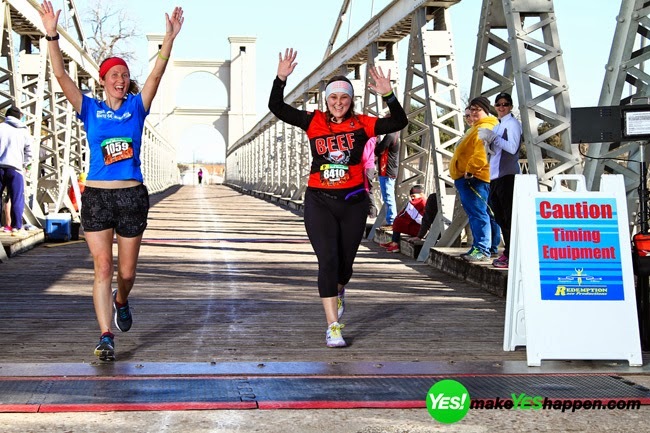 On Sunday, January 25, I ran my 8th half marathon! I also me a blogger friend for the first time, and we were able to run together. Read the recap and see more pictures here. We were able to have a double-date with my grandparents! They were driving to Texas from Illinois and stopped to see us on the way. We went shopping at the outlet mall and had dinner together at one of our favorite restaurants. Jordan got the flu. Not really a highlight, but it needs to be documented for historical record. He was off work for a whole week, and I quarantined him in the other bedroom and made him promise to refuse to touch anything in the apartment. Literally. He turned off the lights with his elbows. You can't be too careful. He mostly just bing-watched 3 full seasons of The Office and then refused to stop quoting Michael Scott for days. All in all, January was great and my 2015 is off to a good start. I'm continually reminding myself of my resolution to be content this year and not wish my life were something that it's not. Because shoot. My life is pretty great. -What have you been reading lately? I'm always looking for good reads for my reading list. -What notable event happened in your January? I hope it didn't involve the flu! -Don't forget to check out this post to leave Jordan or I any questions for an "Ask Anything" post coming up soon! Love the linkup! :) hahaha he turned the lights off with his elbow lol that's dedication! Such a good picture of you guys running together! Ohhhh...I love that you read a classic! I have a list of great, classic books that I want to read, but I can never get myself to choose one over a popular new release! I could think of worse ways to spend a week sick at home! 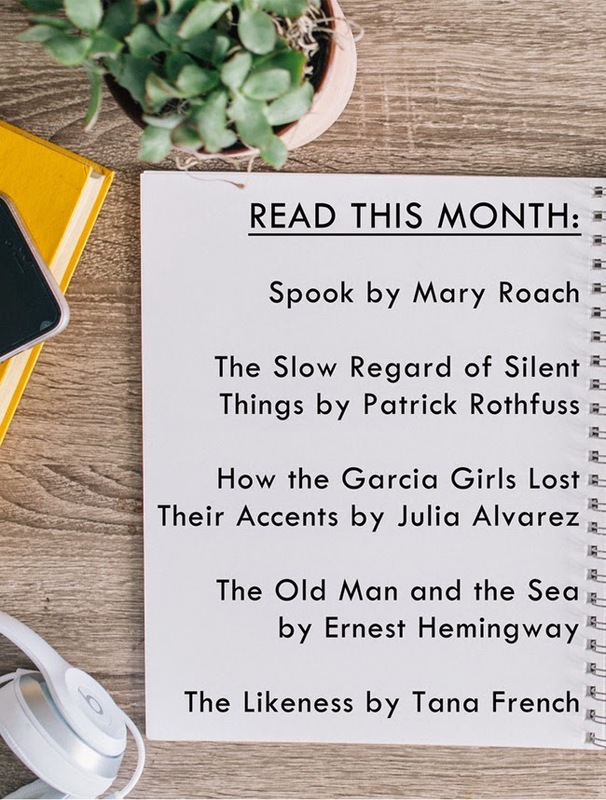 Love this idea to recap your month, too! Haha! I hope that Jordan is feeling better and now allowed to turn on lights normally. Binge watching The Office is good - even if the health was bad. Man, I was totally going to copy your one picture a month thing on the first and we did January, but February totally slipped my mind. I think it's terribly adorable you guys had a double date with your grandparents! It's been awhile since I've read Hemingway, I should pick one up. Quoting Michael Scott is not a bad thing, he's hilarious! O those Dallas apartment buildings with all the stairs and mazes to find the right one are so confusing, well I am just guessing it was like that because I have been to a few and they always made me freak out. A friend kindly gave it to me in France to bring back to the UK. What a great start of the year you've had! Ha, we're also re-watching The Office! But only the first five seasons. Because all the things that happened after Steve Carell left are not worth watching, IMHO. I had a relatively good January--work was a bit stressful but it's calmed down since then and I have no major complaints! 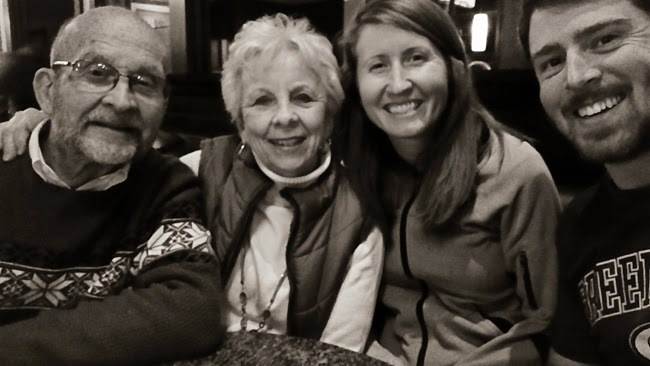 Glad you got to see your grandparents--that's so fun! And boo to the flu. Thankfully *knock on wood* I haven't gotten it. Holly told me about your Project 12 and I love it! I think I am going to try something similar with recapping each month in a slightly different way. The best book I read this month was A Long Way Gone: Memoirs of a Boy Soldier by Ishmael Beah. Have you read it? I love your project 12 posts! I meant to start that this year..dang! I am soooooo impressed that you read 5 books this month! That's pretty much amazing. I have two books to read once they come in the mail: "What color is your parachute?" and "Make it Happen" It'll be a miracle if I can read them both in one month! I've been reading like crazy lately--I think I'm on my 8th book since Jan. 18. Vacation will do that to you. I laughed out loud, for real, at "He's growing up so fast". Angel's only taken one trip without me, for a work conference, and that was when we'd been married like two months. Since then, I've always been the one going away and leaving him at home. Dallas!!! ahhh blog date next time! Congrats on your race. You are a ROCK star!!!! Yay for a good January! A good I recommend is a These are The Generations by Eric Foley. It's about a family and their faith legacy in North Korea. It was really humbling and also a good insight into contentment. It's a short read too. Ugh, I feel for Jordan! The stomach flu just made it's happy way through our house. I was the last lucky recipient and I'm still feeling sluggish and icky. Not the same thing as influenza, but still no fun! Right now I'm reading Bonita Avenue by Peter Buwalda. It's a little slow and is taking some crazy twists. Not sure if I'm a fan yet. But I'm reading it for Blogging for Books, so I have to finish it! Great job with 5 books for January - that's a great start to your Goodreads goal! A double date with grandparents sounds so fun! The flu however does not sound fun. :( Glad he is feeling better now! So how awesome is it that I talked all last year like I wanted to do this and then never did and now January has already passed and I still haven't done this! Bah! I just thought to myself, "I'm going to do this and just cheat and leave January out," ha!